Poultry and beef are in competition in the grocery store, but on individual farms they are often quite compatible enterprises. One reason for this pertains to the litter generated in broiler production houses. Broiler litter (normally a combination of sawdust, wood shavings, or peanut hulls, plus poultry manure, feathers, and wasted feed), builds upon the floors of broiler houses and must be removed periodically. On many farms, applying this material to pastures or hay fields is an attractive option. The fertilizer value of broiler litter varies depending on the number of cycles of broilers grown in a broiler production house prior to removal, the ration fed the broilers, and other factors. However, broiler litter typically has a fertilizer value roughly equivalent to a 3-3-2 grade fertilizer. This means that a ton of fresh broiler litter (usually about 20% moisture) will contain around 60 pounds of nitrogen, 60 pounds of phosphorus, and 40 pounds of potassium (layer litter has a different nutrient content and is much less readily available). Nitrogen in broiler litter is released slowly, which is an advantage. Usually around 30% of the nitrogen is readily available for plant uptake, with another 50% becoming available during the first year after application. However, some of the nitrogen in surface-applied litter will be lost as a gas. The amount of loss in this manner is highly variable, mainly depending on temperatures after application, but is seldom more than 20% of the total nitrogen present. A disadvantage of many nitrogen sources (especially certain commercial fertilizers) is that they lower soil pH, thus creating a need to apply lime. However, broiler litter tends to actually slowly raise soil pH, especially when applied to an area for several years. Litter also provides certain other essential nutrients, plus it provides organic matter, which improves soil. Environmentally safe disposal of broiler litter should be a concern of any producer who uses the material as a fertilizer source. Where broiler litter is regularly applied to pastures, the levels of potassium, and especially phosphorus, are likely to build to high levels. Theoretically, this could reduce forage crop productivity, but is much more likely to occur with ornamentals and other crops. The quantity of litter applied should normally be based on the nitrogen requirements of the crop. Recommended maximum quantities vary depending on the forage species present, but generally, no more than 4 tons per acre in a single application or 6 tons per acre in one year should be applied. In many broiler houses alum (aluminum sulfate) is periodically spread on litter to reduce ammonia loss. This also increases the amount of nitrogen in the litter and reduces the likelihood of phosphorus and heavy metal runoff from fields where litter has been applied. Most laboratories that analyze soil samples also provide the service of testing broiler litter samples. Many cattlemen who have applied broiler litter to pastures have observed a surge of weed growth soon thereafter. This has led to the commonly held belief that broiler litter usually contains a high population of weed seed and that using the material as a fertilizer source is equivalent to “seeding” a pasture to weeds. At Auburn University, Dr. Charles Mitchell conducted an experiment aimed at determining whether broiler litter contains weed seed. He collected litter from 18 broiler houses throughout Alabama mixed measured amounts of litter from each house with sterile soil, while an equivalent number of pots received no litter but were planted with seed of several different weeds. The pots were then placed in a greenhouse where the soil and soil/litter mixture was kept moist for six weeks. After this time, weed seed germination and dry weight yields were measured. The result was that weeds were found only in trays where seeds had been planted. Thus, this simple study provided conclusive evidence that broiler litter does not introduce weed seed. 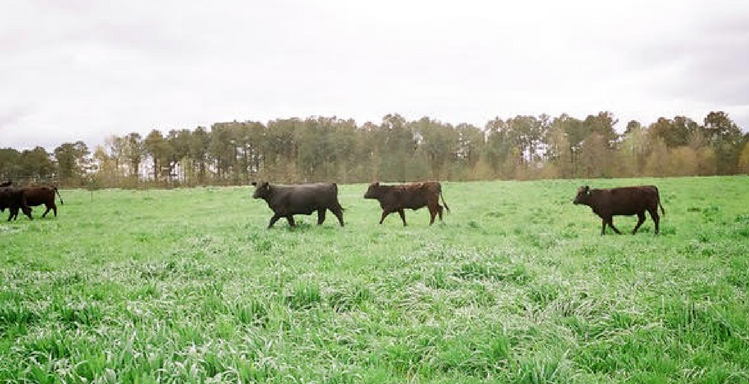 Rather, when lush weed growth follows broiler litter application, the weed seed was already present in the pasture and applying broiler litter merely stimulated germination and growth. Fertilizer is typically the greatest single cost associated with forage production. A livestock producer who has access to broiler litter may find it to be an effective and relatively inexpensive source of nutrients to stimulate pasture growth. Foraging Ahead is a column presented by Ragan & Massey and written by Dr. Don Ball, Professor Emeritus at Auburn University. Dr. Ball is one of the authors of the popular book “Southern Forages” available here.